There are several ways to create a watchlist in Stock Rover. You can click or search for ‘Create Watchlist’ in the Start menu, or right-click ‘My Watchlists’ in the Navigation panel and select ‘Create Watchlist’ from the drop-down menu. 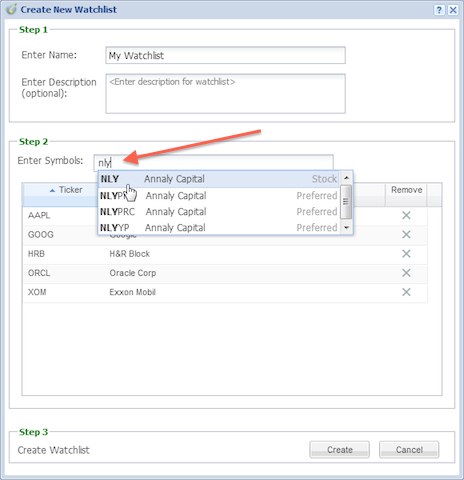 After doing either of these two steps, you will be brought to the Watchlist Manager. 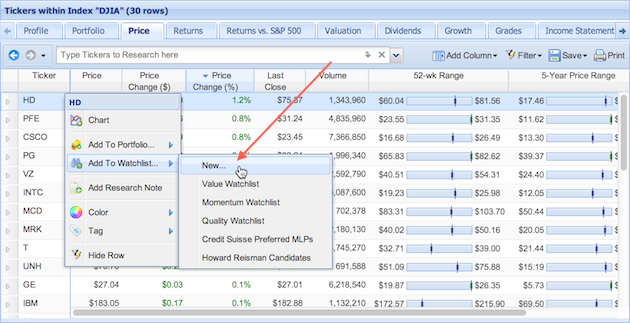 Here you can change the name, add a description, and add tickers to the watchlist. To add tickers, enter either the ticker symbol or company name in the Search Box and select the appropriate ticker from the auto-fill suggestion menu. 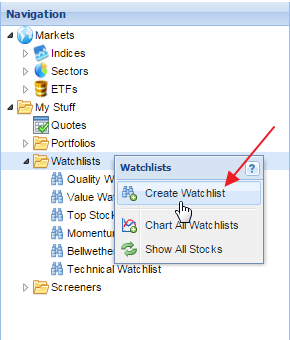 You can also create a watchlist by right-clicking on a stock in the Table, mousing over ‘Add To Watchlist’ and selecting ‘New’ from the drop-down menu. Please note that you can add several stocks to the watchlist at once by holding down the shift key to highlight multiple tickers. This will bring up a window where you name and create the new watchlist. 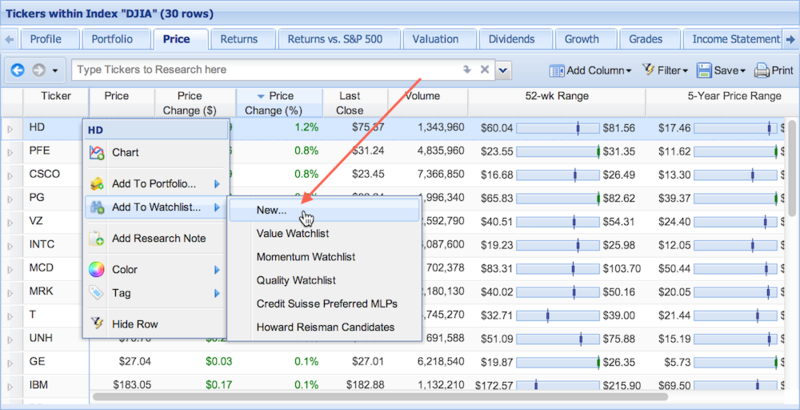 This will bring up a window where you can name the watchlist. 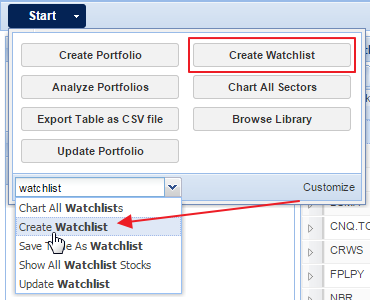 To further edit this watchlist, follow the ‘Click to Customize’ link which will bring you to the Watchlist Manager described above. 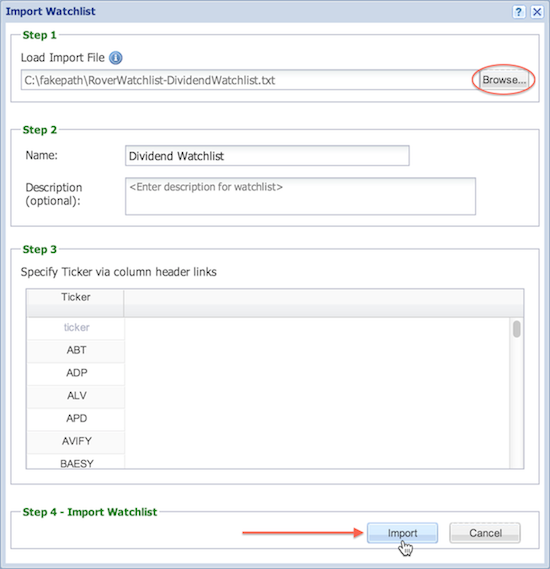 In Stock Rover, it is possible to import a watchlist that is in either a .csv or .txt format. You can also import a watchlist from the Stock Rover’s Investors’ Libray. 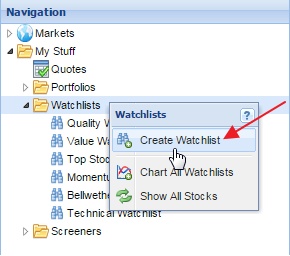 To import a watchlist stored on your computer, right-click ‘My Watchlists’ in the Navigation panel and select ‘Create Watchlist’ then choose to import a watchlist when prompted. 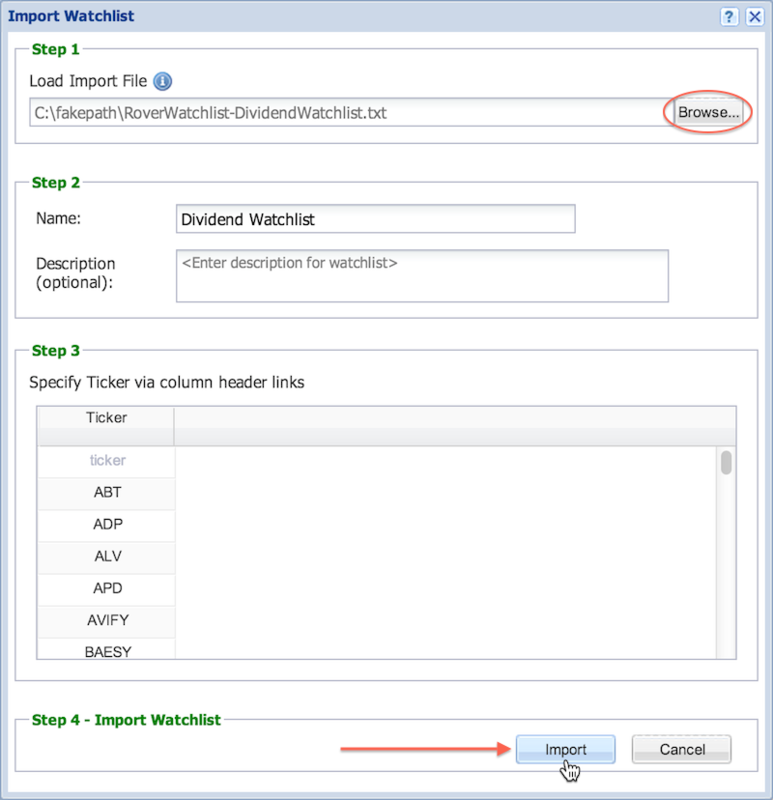 In Step 1, click ‘Browse’ and navigate to the file that you want to import, and the watchlist will automatically be loaded into the Watchlist Manager. From here, you can check to see if Stock Rover read the watchlist correctly. 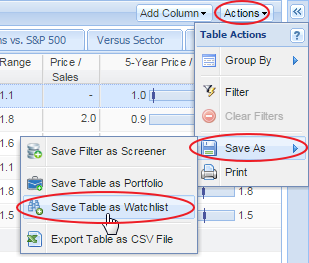 If it did, click ‘Import’ in Step 3, and it will be added under ‘My Watchlists’ in the Navigation panel.